We recently just completed these two bathrooms in Eaton Place, London. The installations were part of a refurbishment of the entire maisonette. Our client wanted a clean inexpensive marble but wanted to see the effect of full slabs rather than just tiles. 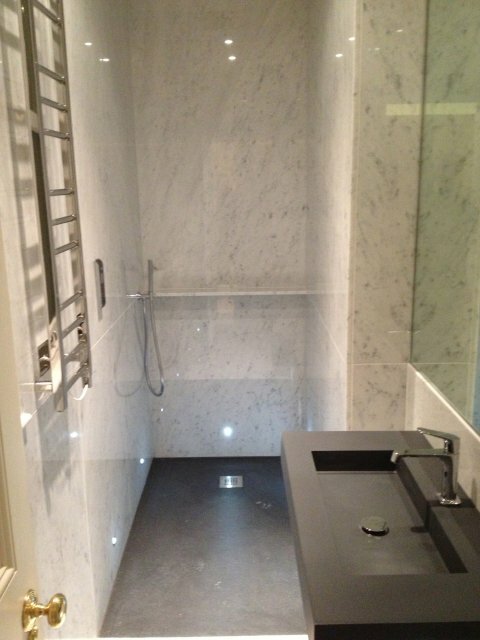 This worked particular well in the shower where we were able to book match the slabs for maximum impact. There is a marble shelf on the back wall for soaps and shampoos. The shower tray is made of a ruberised acrylic. 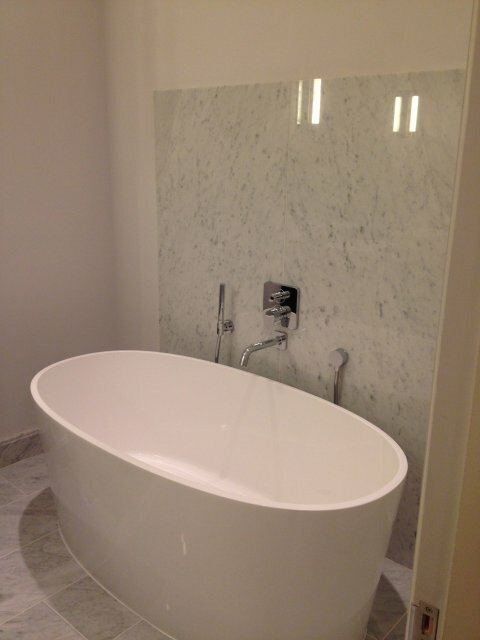 The master bathroom has a more minimalist feel to it with a large egg style acrylic composite bath and two book matched carrara marble panels as back panels. There are two LED’s set into the stone 160mm from the floor. 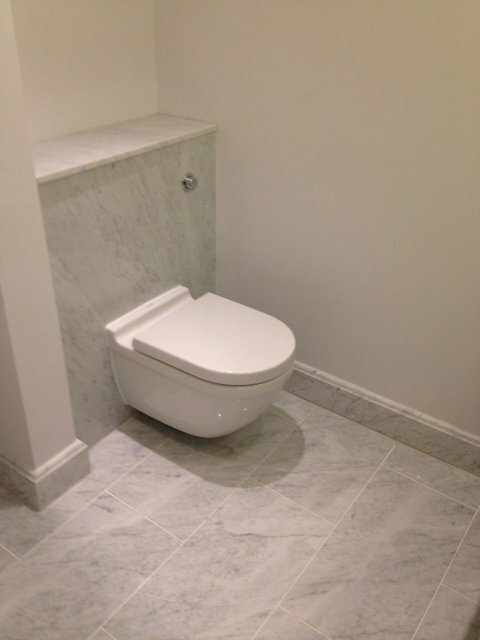 The cistern is clad in the same stone and the floor finished off with moulded skirtings.